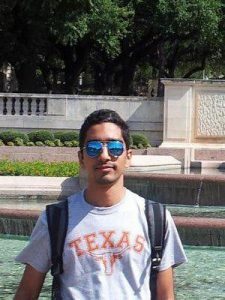 I am a Ph.D. student in the Department of Electrical and Computer Engineering at the University of Texas at Austin. I am a research assistant in the Wireless Networking and Communication Group (WNCG), advised by Prof. Evdokia Nikolova. My research interests are combinatorial optimization and approximation algorithms with special focus on applications in energy systems. [7/20/18] I will be in Georgia Tech in August 2018 as a visiting summer student in ISyE working with Prof. Swati Gupta. [1/6/18] Our paper “A Submodular Approach for Electricity Distribution Network Reconfiguration” was nominated for the Best Paper Award (Electric Energy Systems Track) at HICSS 2018, Hawaii, USA. [12/15/17] I will be in UC Berkeley in Spring 2018 as a visiting graduate student in Real-Time Decision Making program at Simons institute.